Life Fitness 95X Achieve Elliptical Cross-Trainer featuring an innovative design and revolutionary Quiet Drive technology. It is designed to offer a total-body workout utilizing superior biomechanics and a natural fluid motion. The 95X Achieve Elliptical Cross-Trainer adds comfort while delivering an exceptional exercise experience. The pedal design allows users to adjust foot position comfortably and the narrow 2.8″ pedal spacing minimizes lateral hip shifting, which reduces lower back stress. HeartRate+™ workouts automatically adjust the resistance level to keep users in their target heart rate zone. Goal-based workouts allow users to set personal goals. 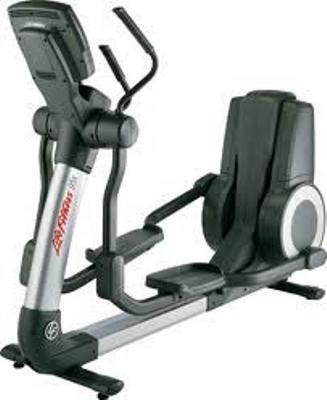 ToughTrain 3.5 out of 5 This is a heavy elliptical cross trainer and comes in a heavy price. *Note: Most of the sites, stores or shopping portals listed above sell Life Fitness 95X Achieve Elliptical Cross-Trainer with discounts and other exciting offers. There is a possibility that the some of above websites are not selling Life Fitness 95X Achieve Elliptical Cross-Trainer now. Toughtrain.com is not liable for such cases or instances. Also we do not recommend any seller for Life Fitness 95X Achieve Elliptical Cross-Trainer and a buyer should buy from where he/she gets best deal with quality of products, service and on time delivery (shipment).